If a desire to quiet marketing noise is the fire, this is the accelerant. I’ll never forget where I was the first time any of our three children rode their bikes without training wheels. They all had different attitudes about it as well as different strategies for approaching their maiden voyage. Our oldest daughter wanted to ride in our neighbor’s huge backyard, so if she fell over, the grass would protect her from injury. 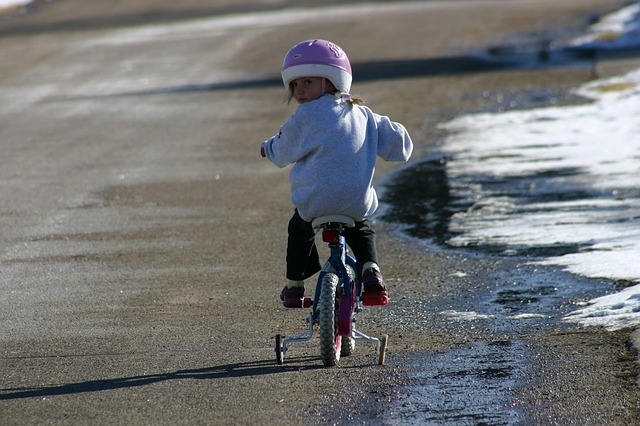 Our son was the opposite: We put the bike away in the fall and the first day of spring the following year, he insisted the wheels come off before he even got on for the first ride. Apparently osmosis IS an actual form of learning. So I took the wheels off and he rode from the top to the bottom of the big hill on our street, no brakes necessary. 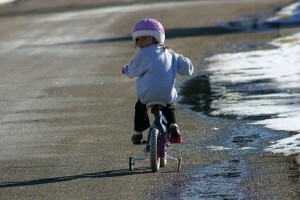 Our youngest daughter was in the middle: I held her up while she rode around and around the driveway. When she got it figured out she headed for the hill, not to be shown up by her older brother. At some point, everyone realizes the training wheels need to come off in their careers as well. You know it’s time when you begin feeling like the smartest person in the room. As a humble introvert, that’s very difficult to say because many of the people who have chosen to follow and engage with me on Twitter and LinkedIn are THE THOUGHT LEADERS of the last two decades. Then I began thinking about it: Those people who have taught me and others like me all the ins and outs of the internet, personal branding, social media, content marketing, social selling, big data, etc, EXPECT the training wheels to come off eventually. Then, when the world begins to see the fruits of THEIR labor in the execution of their ideas across multiple industries, those thought leaders reap even greater rewards. Thanks to them, I feel ready to not only keep pace with the draft line, I believe I can confidently pull it in the same way I used to on two wheels when I rode across the great state of Iowa from the Missouri River on the west to the Mississippi on the east. You’re going to wipe out a few times, but it won’t be as embarrassing as you think. The first time I ever wiped out was at a STOP SIGN. It happens when you can’t unclip. A steady, consistent pace that can be maintained over the long haul will get you a lot further than sporadically accelerating and decelerating. Allowing all team members to stay with you and not get dropped off the back earns respect. It’s all about the journey, so proceed with your eyes up and ears open. You never know when something (or some ONE) is going to jump into your path and jeopardize the safety of your team. There is no cruise control. Communication is key: If your team doesn’t know what you’re doing or if they aren’t sharing information THEY know about the conditions around them, the situation can be hazardous. We can only ride around the driveway so long before eventually getting on the saddle for that century loop. Stop spinning and get on the road.